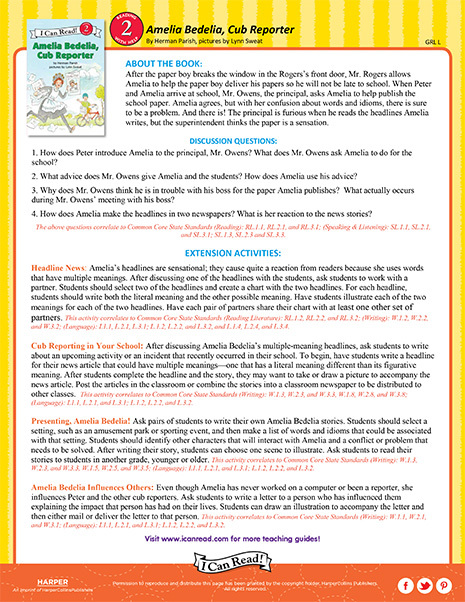 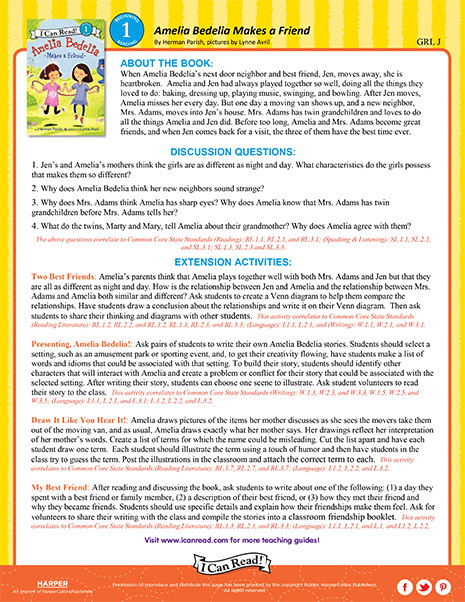 Amelia Bedelia is all mixed up! 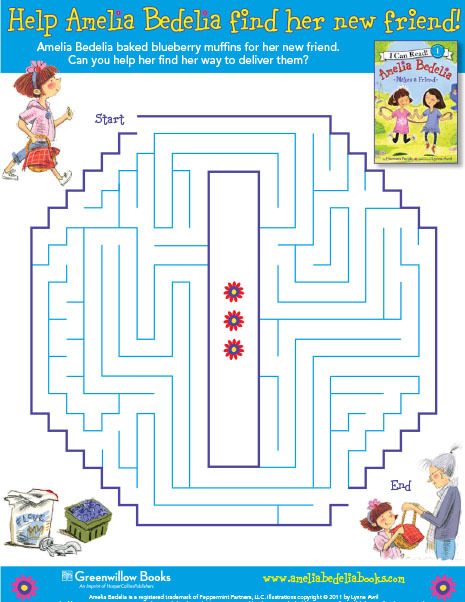 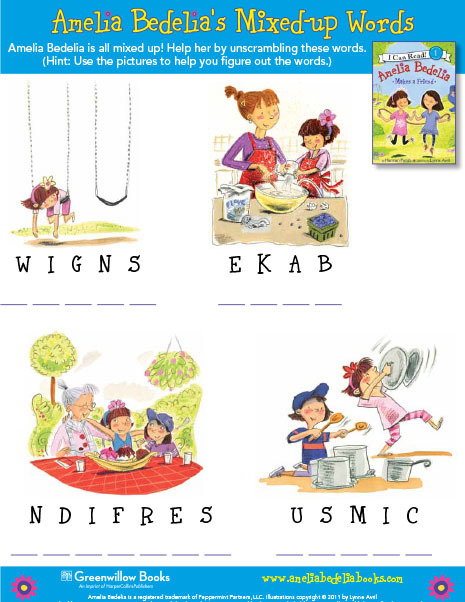 Help her by solving this word scramble with words from Amelia Bedelia Makes a Friend. 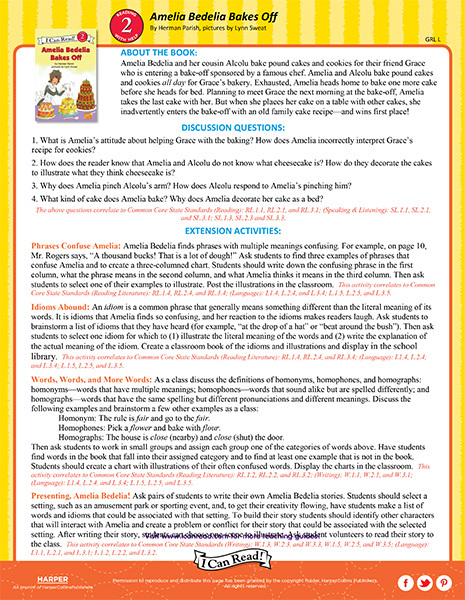 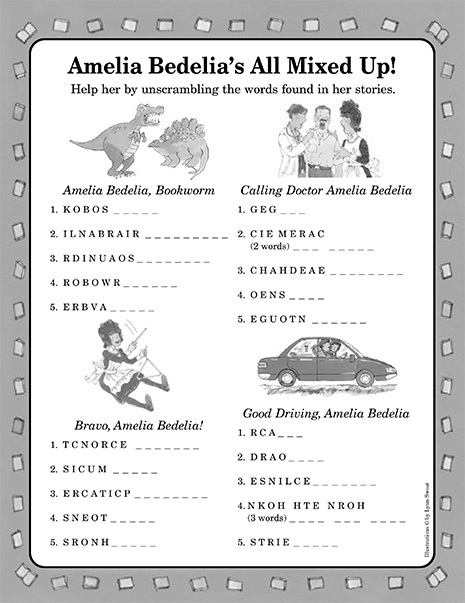 Help Amelia Bedelia solve these word scrambles with the words found in her stories Amelia Bedelia, Bookworm; Calling Doctor Amelia Bedelia; Bravo, Amelia Bedelia! 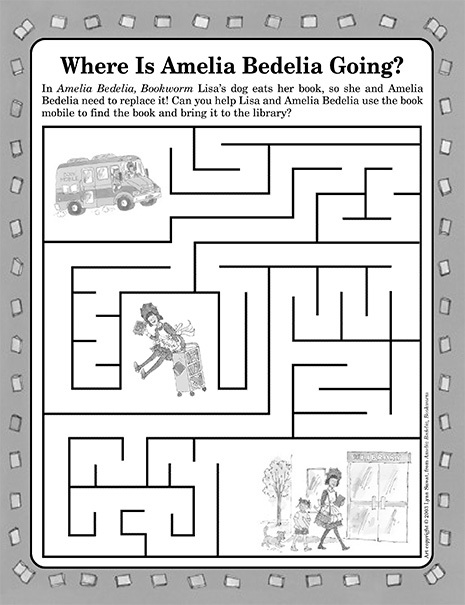 ; and Good Driving, Amelia Bedelia.